So yesterday night I went with a few friends to the 3D cinema screening of the episode that celebrates the 50 years of existence of the Doctor Who series. And it was amazing. The script was written by the unmistakable Steven Moffat, the current head writer of the show, who’s (very) well known for having an “unpredictable”, let’s call him, writing style. His leading of the show for the past 3 years has brought forth a breath of fresh air and excitement. And this episode is by far no exception! The return of beloved old characters, paired with great writing and cinematography make this celebration episode, one of the best. It did a wonderful job pairing up story lines from both the original series and the revamped one in a way that fans from either will feel integrated within the community. 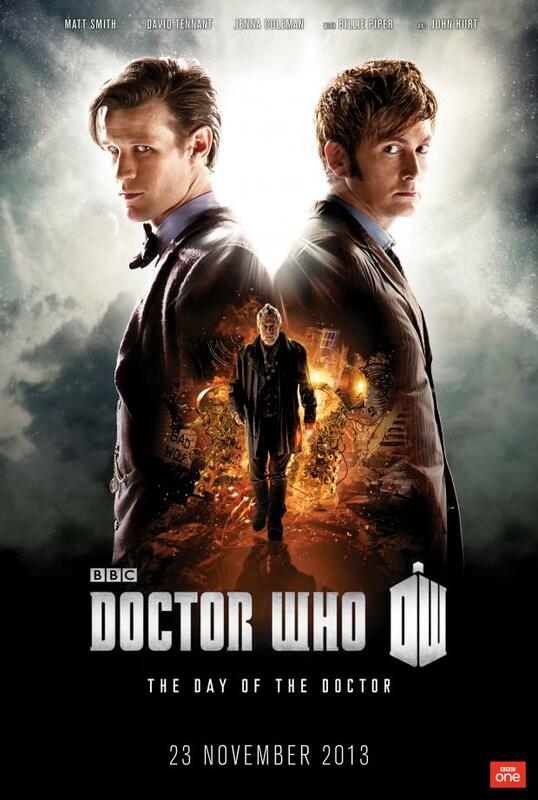 Both Tennant and Smith did an amazing job portraying their, respective, Doctors with an obvious and constant bickering amongst each other, which brought a great comedic element to counteract the inherit drama associated with the series. John Hurt and Billie Piper were nice additions as well, bringing a different dimension to the story altogether. Jenna Coleman as the witty companion, held up her own while acting alongside Tennant, Smith and Hurt normally within the same scene. One of my favorites parts of the episode had to be when we saw footage from old archives of the show featuring all of the 13 Doctors, as if they were all “working” together for a common goal. And we even catched a glimpse of Capaldi, who’ll reprise the role of the Doctor on the new season coming up next year! So I can say with full conviction that this was one of the great episodes in the series, thus far, and I look forward for the Christmas special this year!